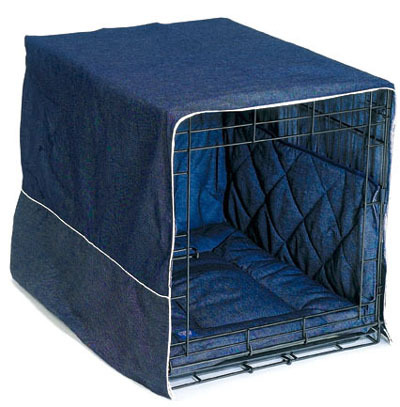 Dog Crate Covers by Casual Cratewear are a smart and affordable way to help your dog be safe and comfortable in his crate and they also dress-up the look of your crate for a more decorative finish. 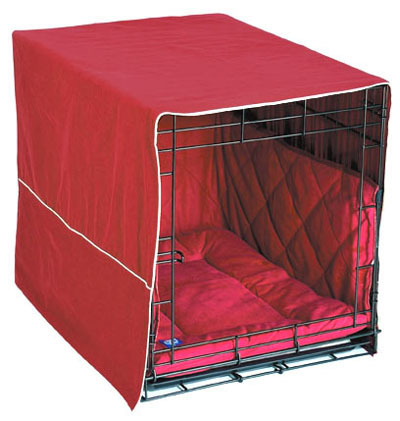 Why Buy One of Our Pet Crate Covers? •Prevent painful injuries to wagging tails. •Helps stop tooth injury from chewing on the crate bars. •Will help prevent collar strangulation from pet tags caught between bars. •Prevent sores and potential trapped paws. 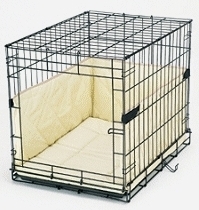 The crate cover is the part that is most visible from the outside and covers the exteriors of your pet's crate. It gives the crate a more finished and fashionable look. The bumpers line the inside of the crate and cushion the sides which helps prevent crate sores and discourages your dog from chewing on the bars of the crate. The matress provides a comfortable cushion to increase comfort and reduce restlessness. Veterarian Approved - Get Your Dog Crate Cover Today! To locate the correct cover, measure the length of your crate and chose the dog crate cover that matches the length of your crate. Note: 1) The length in the long measurement. 2) These covers do not fit the Side-By-Side or SUV Crates. Alternatively, use this crate cover size guide to determine which cover will fit your dog crate. Use the drop down selector to choose the model. Note: the price is indicated next to the model number and will update once you click on the "Add to Cart" button. The size of the crate cover must match the length of your crate. 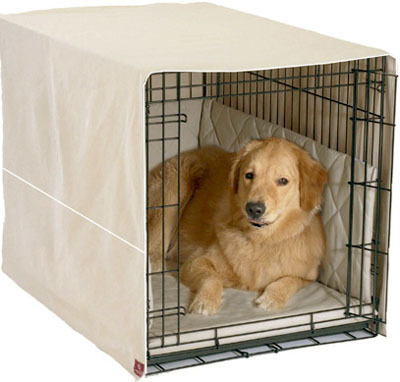 Dog crate covers are a great solution for the pet owner who wants a long-lasting, attractive solution to "dress-up" their crate. But these covers are not just attractive to look at, they help keep your pet safer, reduce barking, help prevent collar/tag strangulation, reduce chewing and prevent crate sores. A Great-Looking and Safe Solution - Get Yours Today!